Regardless of age, you can always learn new, incredible things about the life that exists around us. The staff at Irukandji are continuously learning new things through our conservation and research studies, and we share this knowledge throughout our facility and to the world. You can never know everything and there is always so many important things to discover. 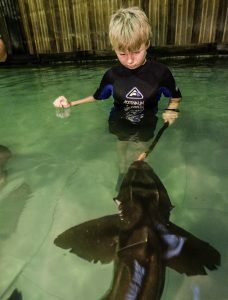 We are committed to promoting the highest standards of education and creating a real awareness across all ages of the conservation issues our world is facing. We develop curriculum-based resources and are always looking to update our school excursion as the curriculum changes. Learn more about our teacher resources. 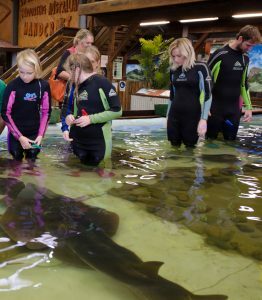 Irukandji Shark & Ray Encounters is an essential interactive tool within the education system. A fun stimulating educational experience while helping teachers to meet the requirements of NSW Syllabus. 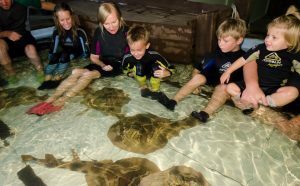 A facet for teachers to enrich students views of the marine environment through the exciting Shark and Ray world. To promote enthusiasm for further learning in science, biology and technology.